The novel begins with Nick contemplating the body of an assassin he's just killed. He notes that the blood stain beneath the body pools out in the shape of a butterfly's wings. This, along with the title, are the first indications that butterflies are to be important and repeating symbols throughout the novel. What do the butterflies mean? Well, their thematic importance was to build a kind of ominous sense of impending dread. Much of the action in “Monarch” takes place at a small bed and breakfast run by a woman named Lilian who Nick has a past with. Lilian is concerned about the fate of the Monarch butterflies that are one of the main reasons tourists come to visit her establishment. The association of butterflies and extinction/death becomes underscored when wings “that resemble that of a butterfly” start showing up in a repeating tattoo. I enjoyed the pace and the action of this novel. There are several characters that are interesting and fully developed, and they're all dealing with various traumas of greater and lesser complexity. The spy plot lines and the dysfunctional family plot lines intertwine and collide in an explosive conclusion. I would have liked to spend a bit more time with some of the marginal characters, but then again, sometimes you find characters interesting because of the mystery. 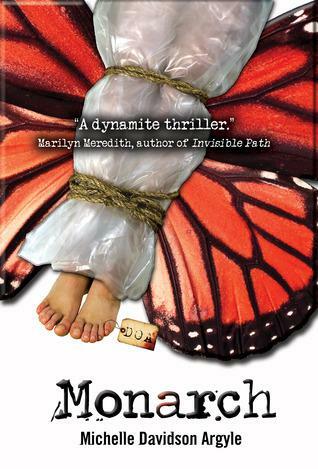 There's plenty of mystery, action, and romance in “Monarch” to keep every reader entertained. Monarch is available through Rhemalda here.